Time-saving Sewing Tip! 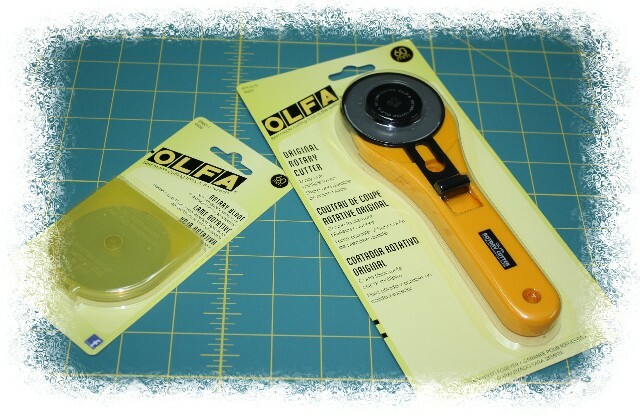 Pre-cut interfacing with Olfa in minutes! Now, onto a quick time-saving tip. When I sit down to sew, there are a few items that I quite often need and I find it faster to prepare these in advance. One example is fusible interfacing: hemming jacket sleeves, plackets, zipper placement, bound button holes, these are just the first few areas I need the interfacing and to get up, unfold the interfacing and cut 1 strip is a total “time sucker”, my new word for the year! For jacket hem’s I typically use 3″ to 4″ wide strips of interfacing and for the zipper placement 1″ to 1-1/2″ strips. 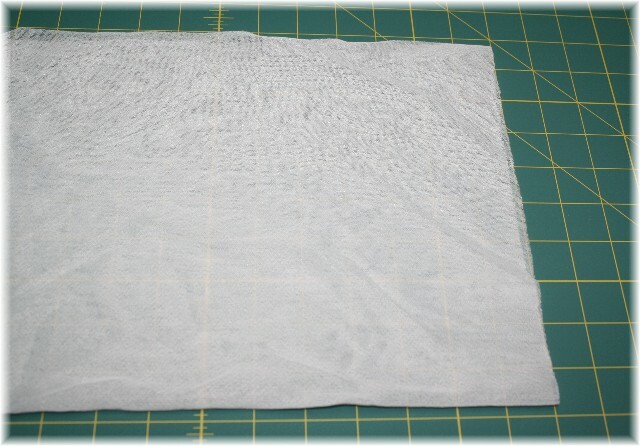 This is light-weight fusible interfacing (HTC fusi-knit) and with two layers you can still see through the interfacing to line up the 1″ grid on the Olfa cutting mat. cut strips parallel to the selvage 28″ long by 1 1/2″ wide. The most common use for these strips is to support the center back seams on a dress when inserting a hidden zipper (I am hooked on sewing dresses lately!) and it is rare that I would need longer than 28″ for a zipper. 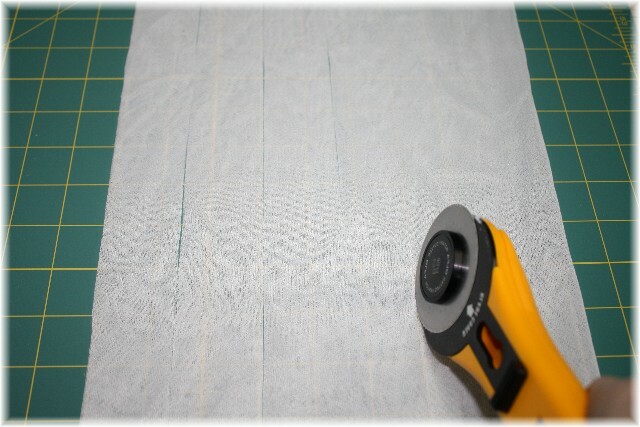 cut strips perpendicular to the selvage 4″ long by the width of the interfacing (in this case 22″ wide). These strips are perfect for re-hemming jackets and sleeve hems. If you do alterations, this is really a bonus to have these cut strips on hand. Store these strips in a photo box next to your sewing station and you are all set! Always clear your cutting area from pins! It always amazes me how one little dent in the blade can ruin the cutting, but it is true. 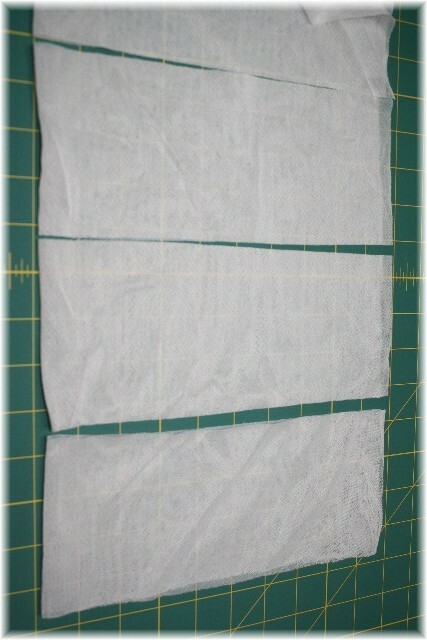 Maybe it’s not quite as noticeable when cutting thick fabric, but try cutting bias strips of silk chiffon. If the blade is damaged, even in the slightest bit, the cutting is fragmented and you end up cutting the strips over with scissors. Pain in the tush 🙂 I used to try to sharpen the blades, but seriously I am trying to save time not cause more work. The blades are not that expensive, especially this month they are 25% off at WAWAK sewing, time to stock up for a few months! 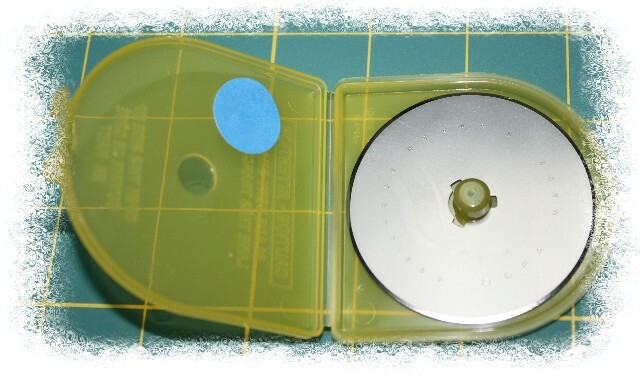 The replacement blades come in a nice plastic container. As I am always fearful of throwing a blade in the trash, I use one of the containers to store bad blades. See the blue dot in the photo above, that dot tells me this package is bad blades. When its full, snap the container closed, add a piece of tape for extra security, and toss with no worries. My question to you – Have you ever tried sharpening your old blades and did you have any luck or do you prefer stocking up on replacement blades when a great sale hits? Have fun filling your pinterest board, remember to add #wardrobechallenge when sharing your experience! I have had some luck extending the life of a rotary blade by turning the blade over. Worth a try. I also have a True Cut blade sharpener, with experience I can now greatly extend the life of my blades, providing they don’t have nicks where I’ve tried to cut a pin! I sharpen them as soon as I notice the cut is not as easy as it should be, and use a stop watch to make sure they get the full time needed, I also turn the blade and sharpen a second time. I have a stock of blades that I use, changing as needed, then have a session of sharpening. The blades do eventually die, but using good quality blades gives me greater cutting life, and not leaving them till they are totally blunt before sharpening makes a difference. I have never tried to sharpen the blades and purchased 20 when I saw them greatly reduced a couple of years ago. I also use the smaller 45mm blade with the pinking blade to cut interfacing strips to use of the hems on my wool or linen skirts just to make sure I don’t get the sold line when I press. I bought one of those specialty blade sharpeners, and I wish I hadn’t. It wasn’t especially cheap and I can’t get it to work well! I also find Olfa blades and Kai blades seem to last longer than others. I especially love my Olfa serrated blade for instant pinked edges! I have an electric sharpener (trueCut) on hand, and do believe this extends the life of the blade. I also buy Olfa blades in bulk, because so far, they are my favorite. For sure, a sharp blade makes the job easier. I have never had success with the blade sharpeners! It is so much easier on me to get a new blade. My problem is that I wait too long to change out the blade and am so surprised when the new blade cuts so beautifully. I always wonder why I waited so long to change it!